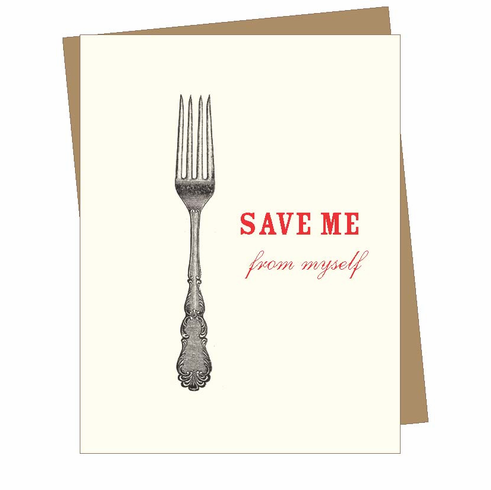 Outside text reads "Save Me From Myself." Vintage fork illustration. Blank inside.